Over time, an active Insight project will accumulate a significant amount of project history for "undo" purposes and become increasingly cluttered. This can cause the project database to be bloated and less efficient. remove the "undo" history of wells and horizons in the project up to the current revision. Note: If you remove the "undo" history, you will not be able to undo further back than the current revision. 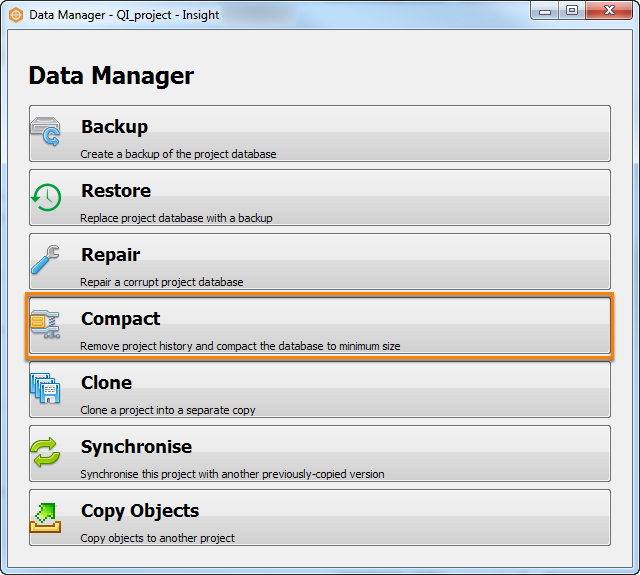 In the Data Manager window, select Compact. Note: The project you open in the Insight Launcher will be the project that you want to compact. 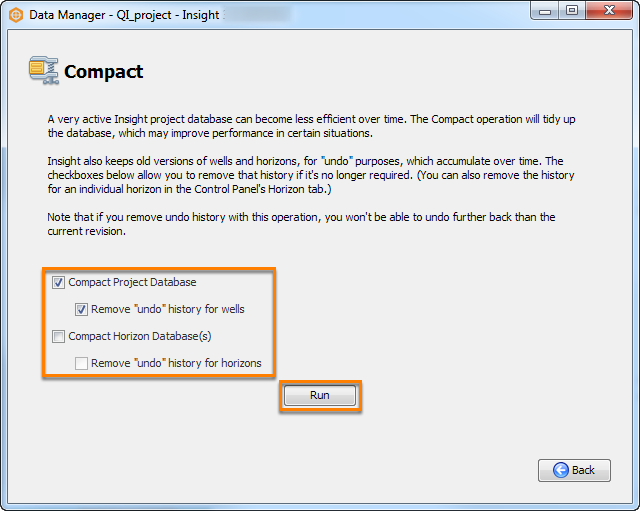 You can choose to compact the entire project database, only the horizon database, or both. Select the Remove "undo" history checkboxes to delete the "undo" history of wells and/or horizons. Click Run to start compacting the project. A notice will appear to confirm that the compact has been completed.